​News about the new ​Warriors superteam has been dominating the world for the past two days. Warriors fan are beyond excited for the anticipated success their team will have this season with five All-Stars. Any non-Warrior fan, on the other hand, is just about ready to protest the NBA. Their anger is justified, of course, and it doesn't even seem fair that the Warriors could be so stacked. 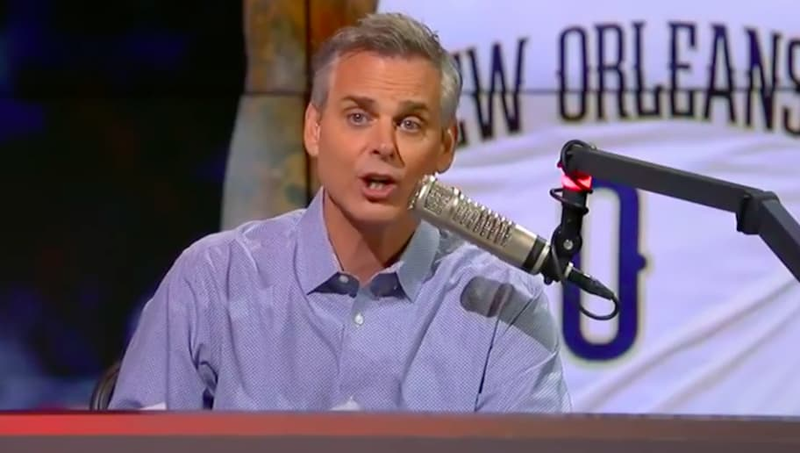 But Colin Cowherd on his talk show, The Herd, takes his rant about ​DeMarcus Cousins and the Warriors a little too far. His most memorable quote in that stint has to be, "I can make an argument that this is the beginning of the end for the Warriors." I mean really, Cowherd doesn't have many good things to say about Boogie, but that statement may be taking it a little too far. Cowherd's argument is that people should not be overreacting about Cousins and the Warriors superteam. He doesn't think NBA ratings will go down, and he doesn't even think Cousins will live up to his current hype. But his rant, instead of making NBA fans look bad, made him look crazy. He indirectly trolled Bryan Colangelo, explicitly trolled Cousins, and whined about the overreactions of the public. Unfortunately Cowherd, you're the one who seems to be overreacting now. Most people are excited about the dominance GS will show. Maybe five stars will be too much for the Warriors, but until they step onto the court, there's no use in whining about what could happen.